July 13, 2016 By JRL, Esq. The population of the United States is aging. There are currently about 75 million Baby Boomers, with an estimated 5,000,000 Baby Boomers retiring each year. However, 82% of working Americans over the age of 50 indicate it is somewhat likely that they will continue to do some work for pay even in retirement. And the average retirement age has crept up to age 71.2 from 66.3 in 2007. As Baby Boomers age, the face of estate planning will change with them. If you are a Baby Boomer, here are four things you should consider right now. First, you should make sure that your estate planning documents are all in order. This means making sure that your Durable Power of Attorney for Asset Management, Durable Power of Attorney for Healthcare Decisions, and Living Wills are all up-to-date. In addition, you should review your Living Trust and Last Will and Testament in order to ensure that they accomplish your intended goals. 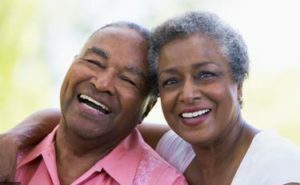 The terms of the Living Trust may need to be modified or tailored to better address some of the issues related to aging. You may also want to give greater consideration to naming a financial institution as Successor Trustee, or even using disability provisions that better address the realities of acute illness or chronic disease. Second, it is important that your Living Trust be fully funded. You will want to review the ownership of your various assets. Transfer any accounts and real estate that remain in your name individually to the Trust. You do not want to simply use the Living Trust as a standby vehicle, waiting to receive your assets upon your death. That would defeat the purpose of a Living Trust of avoiding probate. Also, failing to fund the trust also defeats the purpose of providing administration of your assets if you were to become disabled or incapacitated, thereby avoiding a guardianship over those assets. Third, consider building into your estate planning documents a monitor-type relationship. For example, you could use your CPA, who could be sent copies of monthly bank and brokerage account statements. The CPA could create reports and monitor the accounts for any signs of obvious financial abuse or other issues. An additional safeguard could be to integrate a care manager. A provision could be placed in the Trust that would require an independent care manager to be hired to perform a quarterly assessment and provide a report to the Trustee and a key friend or family member. This way any concerns that an independent care manager has could be brought to the appropriate person’s attention. And fourth, consider consolidating your financial accounts. I often see clients with three, four, or more different bank accounts. Often they use only one of the accounts as the primary operating account through which they run their income and expenses. The other bank accounts remain relatively inactive. In order to simplify things for yourself as well as for a Successor Trustee in the event of your incapacity or death, it makes sense to consolidate the various accounts into a single financial institution where possible. With an aging Baby Boomer population comes increased health challenges. It is estimated that by 2030, one-fifth of all Americans will be 65 years of age or older. Approximately 125 million Americans are dealing with at least one chronic condition. There are currently in excess of 5 million Americans that have Alzheimer’s disease. There are about 400,000 Americans suffering from Multiple Sclerosis and another 1.5 million living with Parkinson’s disease. Because of the many health challenges of aging, it is important to review your estate planning and consider taking the actions discussed above before it is too late.